It is noteworthy that he was the first man to receive the Doctor's degree in Anthropology from an Amer ican university. His death is the first to occur in the Faculty since the foundation of Clark University, in 1889. 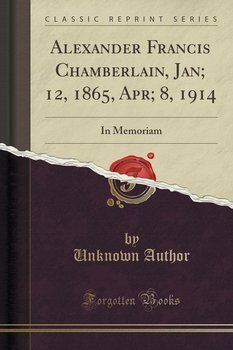 In view of the fact that Dr. Chamberlain spent a great deal of time in the Library, where he was always ready to assist colleagues, students and the Library staff, and in view of his literary tastes and biblio graphical interests, it seems especially fitting that this Memorial should be issued as a publication of the Clark University Library. Angel Teachers Fibkins William L.
Best Dang Job in the World Rezak William D.